From time to time, having a Little Knowledge thrown your way isn’t a bad thing. Tattoos is simply a history of the art of tattoos. The issue is one of many that IDW is publishing about various subjects. The story is presented by a warden of a prison informing one of his inmates about the history and art of applying ink. He does this because of the inmates need to self tattoo himself. It’s a fascinating way to reach the reader and the subject alike. Alfred’s art itself works well here. He uses details of the tattoos when necessary. The basic character designs still imply emotion and purpose of the story/education. The history sources back about 5300 years and more recently to Ed Hardy’s famous designs. 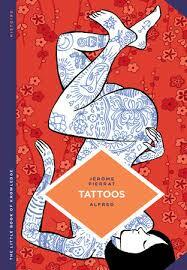 The book is excellent information for the reader and could make a tattoo enthusiast an excellent coffee table book.